I have to say, I’m pretty grateful for a lot of things but I am very much grateful for cabbage. I mean, it’s one of the most versatile vegetables out there, you can roast it, blanch it, pickle it and my personal favorite, eat it raw. Now for me to start calling out favorites is a BIG DEAL. I grew up pescatarian with my mum and didn’t really start eating meat until I met my husband—that’s when it all went down hill… JUST KIDDING. But being pescatarian made me truly appreciate ALL the veggies, so y’all know I did my due diligence! I am also grateful for vacation; and this week I flew cross country to my second favorite city in the USA, Los Angeles! I went for the sun, the beach, and of course, the food. The California food scene is one of the most delicious and it could be because of the ethical farming practices California State installs to its core, but it could also just be because California has one the most vast agricultural goldmine landscapes that enables purely magnificent fresh produce. 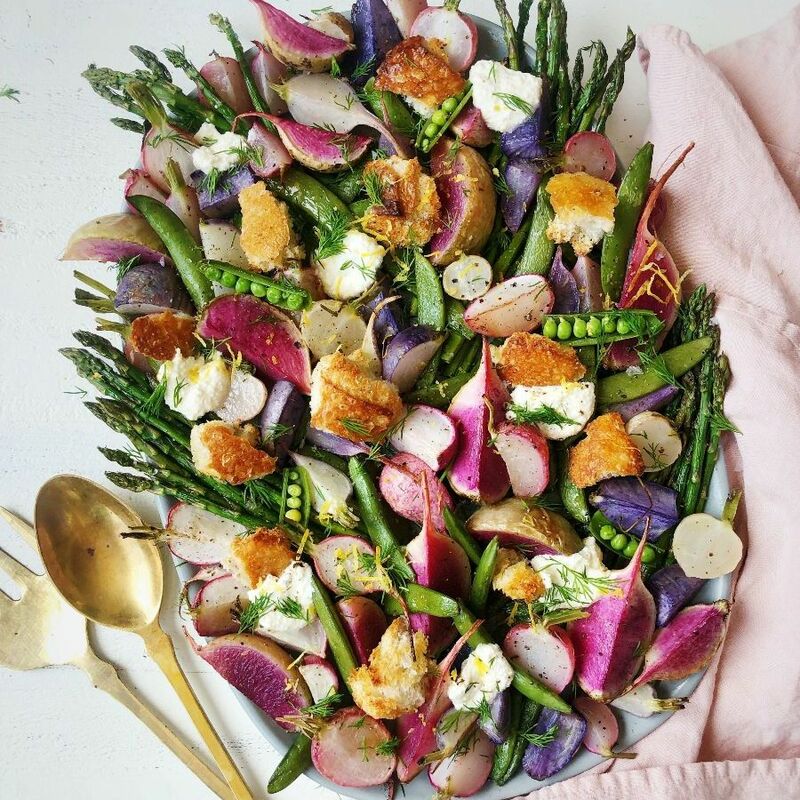 I have been following Heidi Swanson’s work for quite some time now, and what I love about her recipes is that they are simple, fresh and honour the ingredients used in its purest form. 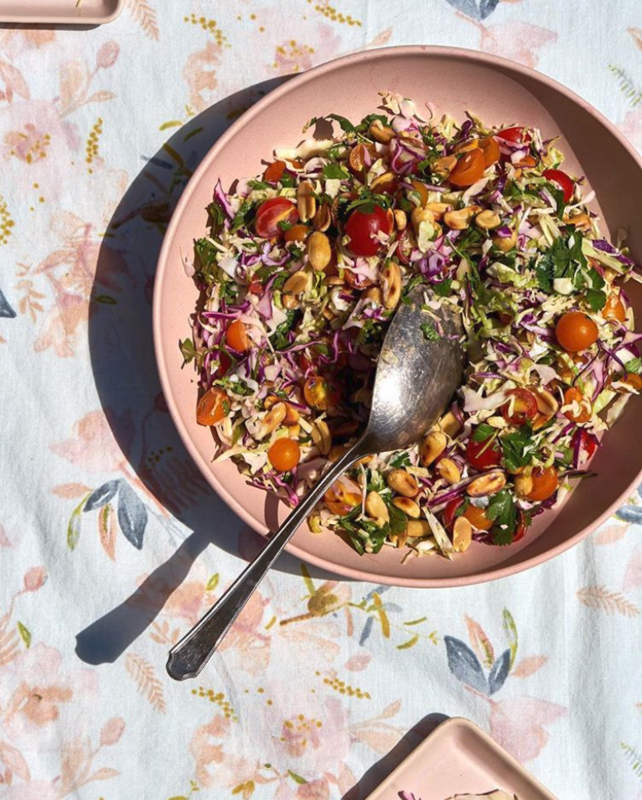 This week I wanted to share with you a recipe I made on repeat while basking in the Los Angeles sunshine, Heidi Swanson’s Zesty Blistered Peanut Cherry Tomato Rainbow Coleslaw. It’s spicy, lime-y, crunchy—literally everything you want in one recipe! 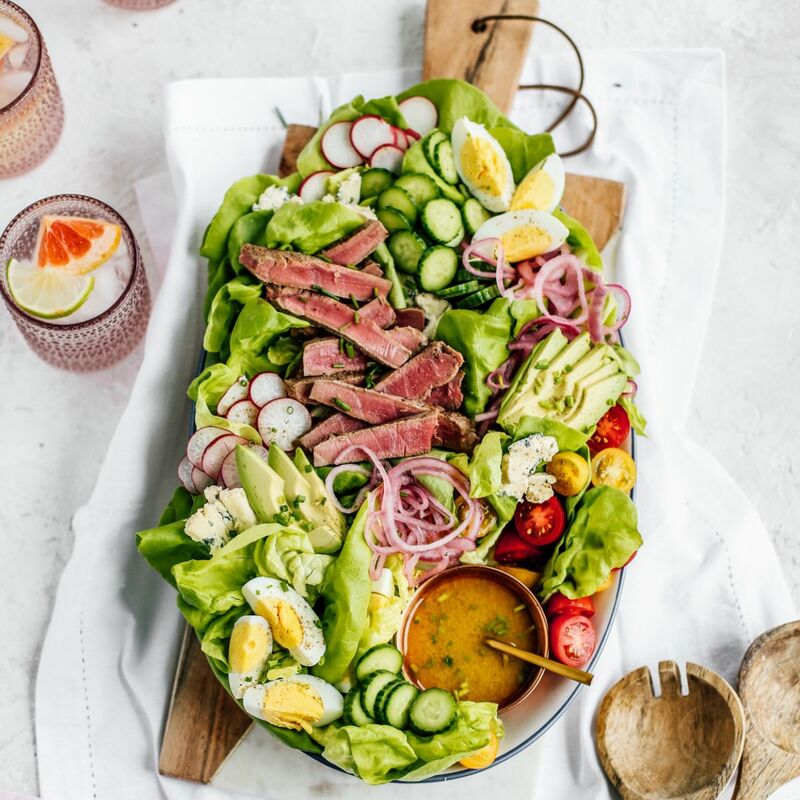 It’s exactly what you’d want to make for your first warm weather entertaining, it would pair well with your Easter hams, or do what I did and bake some salmon lathered in Gochujang sauce (a flavor combination I was introduced to by our Test Kitchen Manager, Rachel Gurjar a.k.a. Umami Master). Now although I treated this recipe as a salad, it’s technically a slaw, so you could also add it to sandwiches, tacos… the sky 's the limit! Want more Salad Recipes? Check out the two below!